For more than 40 years, Rycote has specialised to develop and make the industry standard shock & wind protection for the extremes of field production sound. It is not just the Rycote specialty, it is their passion. It has never been enough to just build the best field production tools for microphones today, Rycote are constantly engineering better tools for tomorrow. Rycote continue to apply their years of engineering knowledge to create the most complete line of specialised microphone accessories that exists today. These tools are designed for capturing audio whilst preventing wind and handling noise, but preserving the microphones natural frequency response. 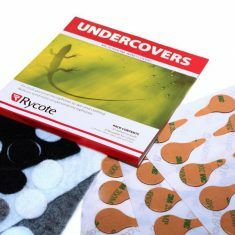 Rycote products available at Mic Hire include Undercovers and Overcovers for lapel microphones, and Lavalier WIndjammers.